Ready to stand out in a crowd of photographers? Today the site Lomography.com announced the Kickstarter project for the Petzval lens. As they say on their website, "Invented in 1840, Reloaded In 2013 By Lomography & Zenit." This lens will surely look nothing like any lens in your bag today as they are crafted from brass just like the original Petzval lens was back in the 19th century. Looks aside though what is it that has photographers clamoring over the Kickstarter project? Outside of interesting looks this lens offers a few unique characteristics that photography enthusiasts are excited about. In fact, so excited that their Kickstarter project which was aiming to raise $100,000 has already in less than one day reached almost $400,000 and has over 1000 backers. While writing this piece I was even intrigued enough that I became a backer myself. The lens focal length will be 85mm with a maximum aperture of f2.2. A Waterhouse aperture set is included which will allow you to change the aperture insert between f2.2, f4, f5.6, f8, f11, and f16. The manufacturer of the lens, Zenit based out of Russia, have said the lens will feature premium glass optics, and will be available in both Canon EF and Nikon F mounts. As mentioned on their Kickstarter page, "in the 19th Century, the vast majority of photos were shot with the extremely popular Petzval lens. The lens was invented by Joseph Petzval in Vienna in 1840 and had a huge impact on the development of photography. Photos shot with a Petzval lens are immediately recognizable for their sharpness and crispness, strong color saturation, wonderful swirly bokeh effect, artful vignettes and narrow depth of field. The totally distinctive look of Petzval photos is all about the fantastic lens design that gives you the satisfaction of the instant optic experience that goes far beyond using photo editing software and filters." While the company says the lenses will be known for their "sharpness and crispness" from the looks of the demo photos I am not seeing that entirely. However there is a unique look to the images which is what got me interested in the first place. I guess we'll have to find out for sure about the sharpness factor once we finally get our hands on one of these for ourselves. 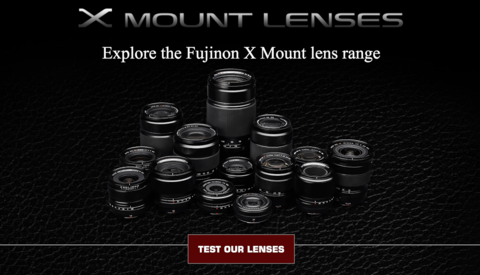 The company plans on shipping out the lenses to Kickstarter backers starting in February 2014. Once the lens is launched to the public and put on retail shelves the price will be $499. You can learn more about this unique lens and see more photos shot with it on their website. So whose going to jump on the Petzval bandwagon with me? Then again maybe I just need a "wanna be hipster" intervention. I do like the look of the bokeh. I bet wedding photographers could get into this. Looks fun, and for only $300 I could see this being worth it. Can you say GAS? You're better off investing that money in creative inspiration. 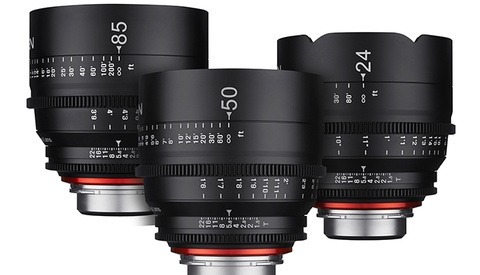 I am already backer and can't wait to get the lens. OR just get the Helios 44/2 for $20 off eBay and get the same kind of swirly bokeh effect and a very nice look to the images. Although the length isn't the same, saving $479 might be a good trade-off. Most photographers I know don't really use an 85mm anyway, they prefer longer for portraits and shorter for most other cases. $500 is way too much for this. I'd jump in at $200 or $300. The 85mm f1.4 Samyang blows this out of the water for $300. Crap bokeh and people laughing because you look like grandpa. Do they also have wooden tripods and a sheet to pull over your head? Just buy a Nikon 85mm 1.8 and get on with it. Prats. If you worry about what people think of you while you are creating your Art, you'll never create any..... A 1.8 ????? 85mm Ais F1.4 is the one...oh, you must be in the world where you need auto focus..
penny pinching wallies.... this is a thing of beauty and I have to say, I want one. Sure the 2 TS lenses in my bag total the best part of 5k and for 1/10th the cost I can get one of these.